This entry was posted in Personal stories on 2017/07/26 by Susan. A viral video from Burnaby shows more work is needed to keep traffic flaggers safe. Drivers need to step up for the safety of people working on roads. Recently a video of a Burnaby flagger hit by a car went viral. The CBC has since reported that the driver in the viral video was charged with two counts of dangerous operation of a motor vehicle, two counts of failing to stop at the scene of an accident, and two counts of assault. Three weeks earlier, a traffic control person was struck in Langford. The impact of the collision sent both the vehicle and flagger into the ditch, reported the West Shore RCMP. A friend of mine told a similar story about her friend who works as a flagger. This friend of a friend was hit by an impatient driver a week before the viral video. “It was her second or third accident where she had to go to the hospital. I couldn’t imagine having to do her job every day,” my friend declared. Impatient drivers need to wake up to the reality that the road is a workplace for these workers they pass. I wrote about the video Respect the Cone Zone, which gives people a glimpse into the dangers of this kind of work and reminds drivers to slow down and think about what they are doing. 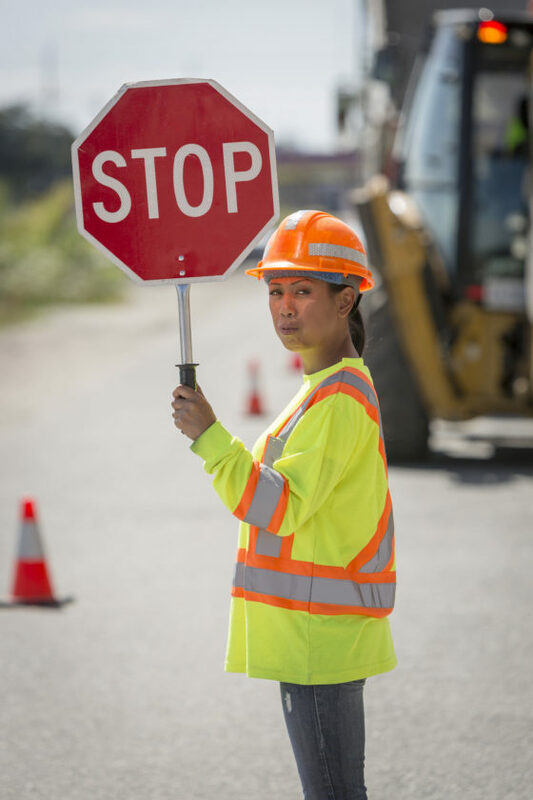 Earlier this year, my post Safety training for traffic flaggers reviewed and improved described how the BC Construction Safety Alliance (BCCSA) updated its Traffic Control Person (TCP) program to include new information about driver behaviour and communicating on the roads. I’ve been a Tcp and Lct for over 25yrs now. I now my head saying thank you when motorists slow down. I also try and keep a smile on my face, but it sure is hard when there are a lot of inconsiderate motorists out there. Even in residential areas they tend to fly by. Some how there needs to be a law put in place as it is getting frustrating with how little the motorists out there just don’t care.